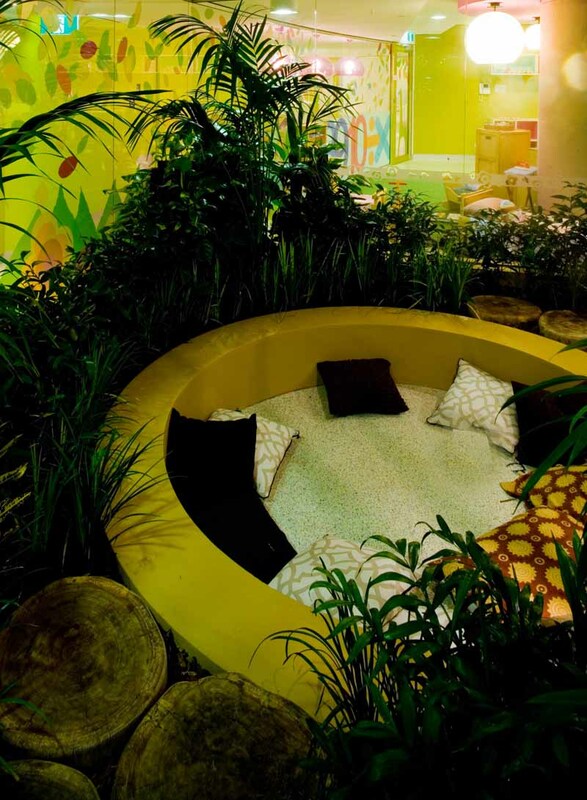 The Treehouse plan of organic free-flowing spaces radiated around the ‘outdoor’ playground, positioned under the atrium to make use of the natural light. The ‘outdoor’ playground offers a sensory experience including a sandpit with water, a rainforest-like secret garden by playground specialist Ric McConaghy and a graphic emulating a fence developed with Frost design. 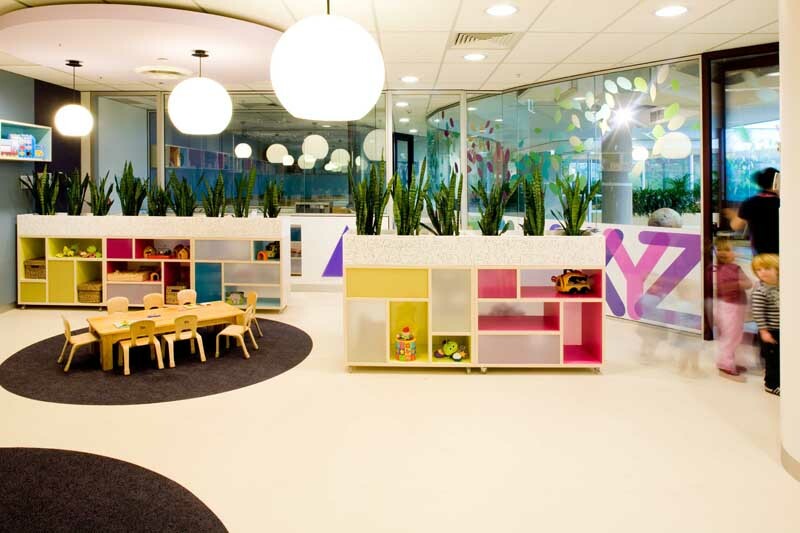 Joinery was designed with children in mind, such as the reception desk with its colour blades and spinning disks. 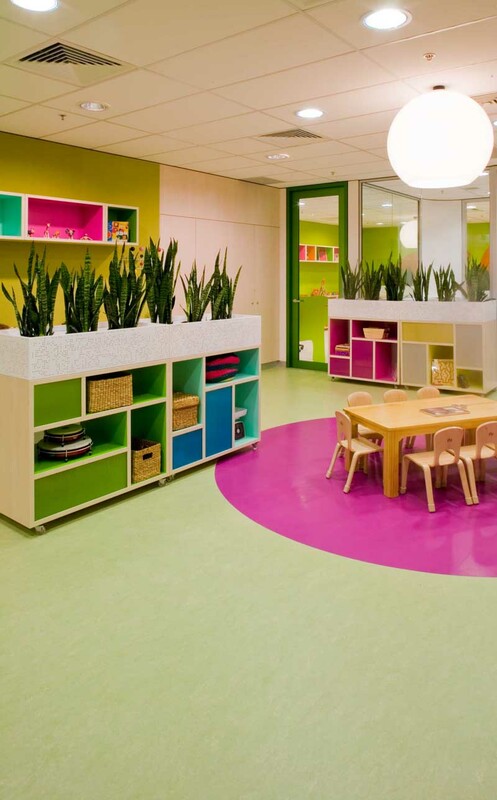 Finishes meet functional, visual and environmental objectives with an added educational element, such as subtly teaching children about mixing colours. The interior palette is fresh and bright, with a more muted and natural palette outdoors.